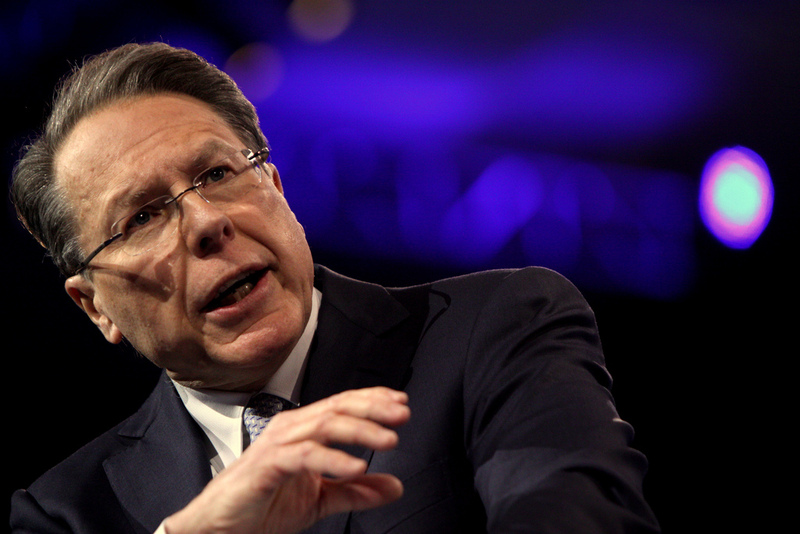 During the National Rifle Association’s (NRA) annual celebration of gun violence (and rights), otherwise known as their national convention, executive vice president Wayne LaPierre made it clear that he believes the NRA and gun owners are in a war. “We are in the midst of a once-in-a-generation fight for everything we care about,” said LaPierre. Many of us on the left label the gun crazies as one-issue voters, and with that single statement, LaPierre has confirmed it. Remember, there are more guns than ever in America at the same time the number of households with guns is declining, and it’s these violence-craved maniacs, people like Wayne LaPierre, who are stockpiling these firearms.